Our valued clients can avail from us unmatched range of Human Portrait-Women With A Calf at reasonable prices. This human portrait showcasing a woman holding a calf in her arms. The posture of the woman her facial expressions the drape of her clothes and every other details look like real. Furthermore, we meet the individual requirement of our clients in the best possible manner. Backed by our in-depth industry expertise, we offer a wide range of freedom fighter portrait to our clients. 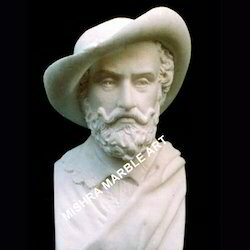 These portraits are made using high quality marble stones and carved out with extreme precision. Our statue is highly finished and look like real. Furthermore, our sculptors and artisans apply maximum efforts to meet the individual requirement of our clients in the best possible manner. We provide an exclusive range of Human Portrait-Lady that depicting a woman in standing posture and holding a tambourine in her hands. This statue is looks like a real and her pose and the serene facial expressions is highly eye appealing. 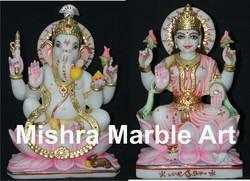 These are carved out of plain white marble by our dexterous sculptors and artisans. We also offer our range in different styles, shapes and colors. 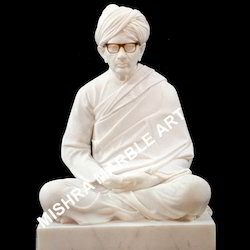 We also offer Religious Personality statue to our clients as per their requirement. Our organization is supported with a team of sculptors and artisans who make efforts to imitate the exact facial expressions. With their support, we also provide this statues in various sizes and dimensions that meet the individual requirement of our clients. 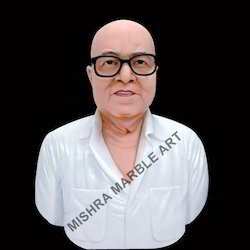 We are engaged in providing a wide range of Human Marble Portrait to our clients, which is crafted using white marble stone. Our artisans apply maximum efforts to offer unmatched range of products to our clients. In this statue, her pose and the serene facial expressions is highly eye appealing. We also offer our range in a variety of styles, shapes and colors. We offer our clients perfect replicas of well known Statue Of Saint who have had an influence on the society. These statues are deployed in big institutions and establishment as a mark of respect for that person. Our sculptors try to imitate he exact posture, gesture, expressions and countenance of the personalities in these statues. Clients can avail from us these human portraits from us at market leading prices. The portrait of Gandhi Ji Portrait or our beloved bapuji is found in many institutions and establishments as a mark of respect. 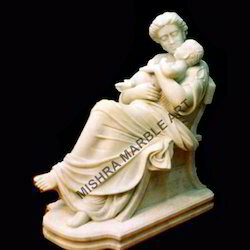 This statue is carved out using superior quality white marble by our professionals who are adept in this art. 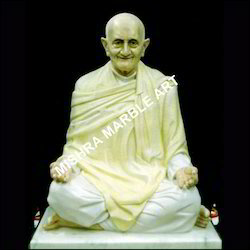 Efforts of imitating the facial expressions of bapuji along with his dressing style are clearly visible in this statue. 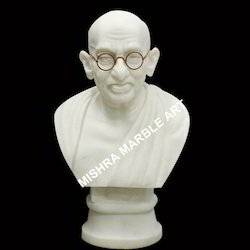 We offer the gandhi ji marble portrait to our clients in various sizes as requested by our clients. With the help of our experts, we offer a wide collection of Great Personalities Portrait to our clients at reasonable prices. 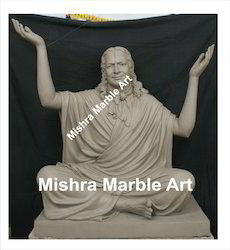 The statue is made using high quality white marbles by our sculptors. Our range of statue is based on well known personalities who have influenced people in some way or other. Furthermore, we use best color combinations and expressive features that make these statues stand out. Recently finished shri kripalu ji maharaj statue in clay. We have make so many statues for their devotees and for Prem Mandir vrindavan and other ashrams. Looking for Portraits and Statues ?